I’d like to introduce you all too Pippi’s newest buddy, little Beau. 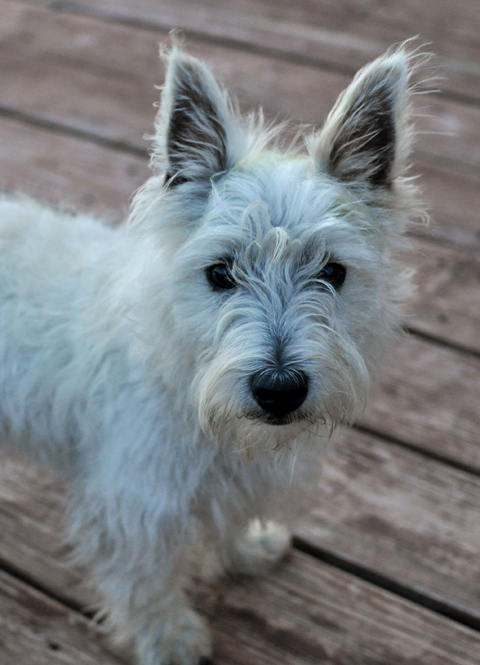 He is a four-month old Westie and boy he is a cutie. 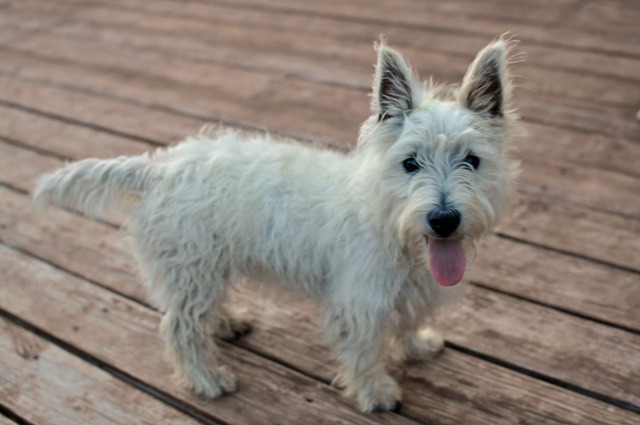 You can tell he is already an amazing terrier. So full of energy and instinct; he already rules the pack keeping all the other cats and dogs in line. He and Pippi had a blast playing, more like “hunting”. They patrolled around the deck watching all of us and keeping what boogie men were in the woods behind the house away. Needless to say we had a great time laughing at the two of them. Trying to take a shot of them together was much more difficult than I expect. Sort of forget how wiggly puppies are. 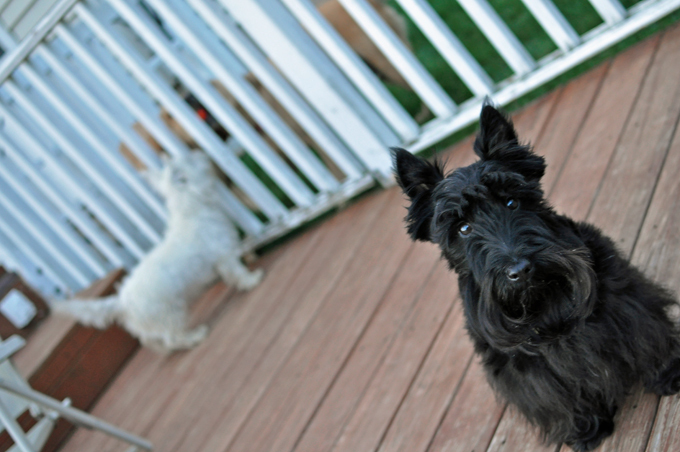 This entry was posted in dogs and tagged Scottie, Scottie dog, Westie. Bookmark the permalink. He’s adorable. So, is he hitting the road with you, or is he just a new friend for Pippi to visit? Just a friend. Josh says I can get a second dog when I get a second husband. We had two, Willa was a foster, Pippi was miserable. She didn’t like sharing us. Wow – you got some amazing pictures of Beau!!! He has been major depressed since Pippi left. No pep in his step. He moped around the deck last night. Poor Beau!